Al﻿bion H﻿otel The Albion hotel.It is reported from someone who lived and worked at the Albion Hotel that while on the second floor at 1:00 a.m. a door slammed in the woman’s washroom around the corner. At that time there was only 3 people there and accounted for. Then they heard footsteps that came right out into the main body of the bar room and came right next to where they were sitting. It sounded like footsteps of someone wearing high heels shuffling around in a circle and then they walked back to the bathroom and the footsteps disappeared with the sound of the slamming door again. 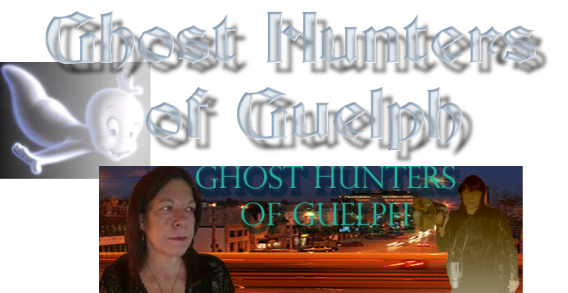 It is said that Al Capone stayed there a lot during his whiskey runs to Ottawa where his mother had lived, and back, during prohibition, and that he kept a mistress that was the hotel owners daughter back then and she supposedly committed suicide when her love affair with the Mafia man fell to ruin. A man walking back to his car in the daytime, reported seeing a white female figure following him. Bank of Montreal (Old Building) - The Old Bank of Montreal - The building opened in 1900’s on the corner of Speedvale and Woolwich, has had reports from a recent tenant when it was a Tanning Salon. Apparently everyday at 3:30 the front door would lock and they had seen the spirit of a man wearing a dark suit. Sounds like he was trying to keep bankers hours by locking the door at the same time each day. Back in those times banks did not have extended hours as they do now. 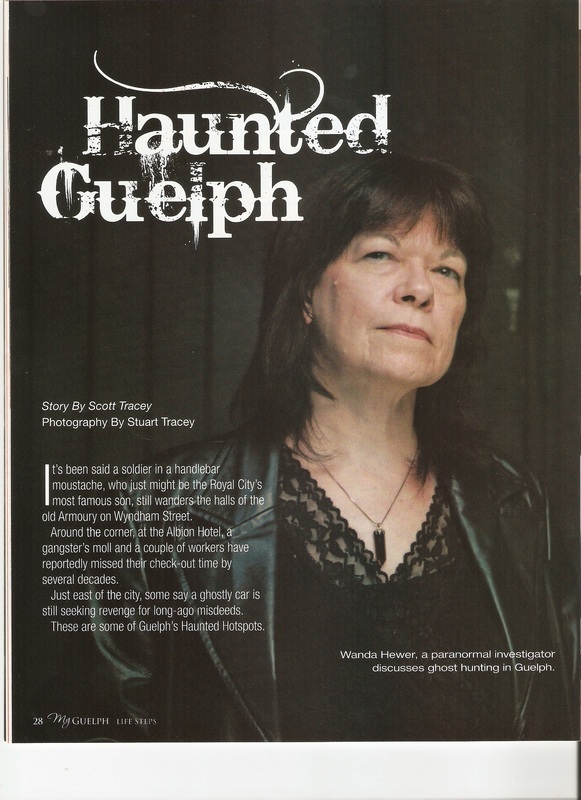 Guelph Little Theatre - The old Paisley street location of the GLT that burned down was known to be haunted by a Salvation Army officer and a choir. 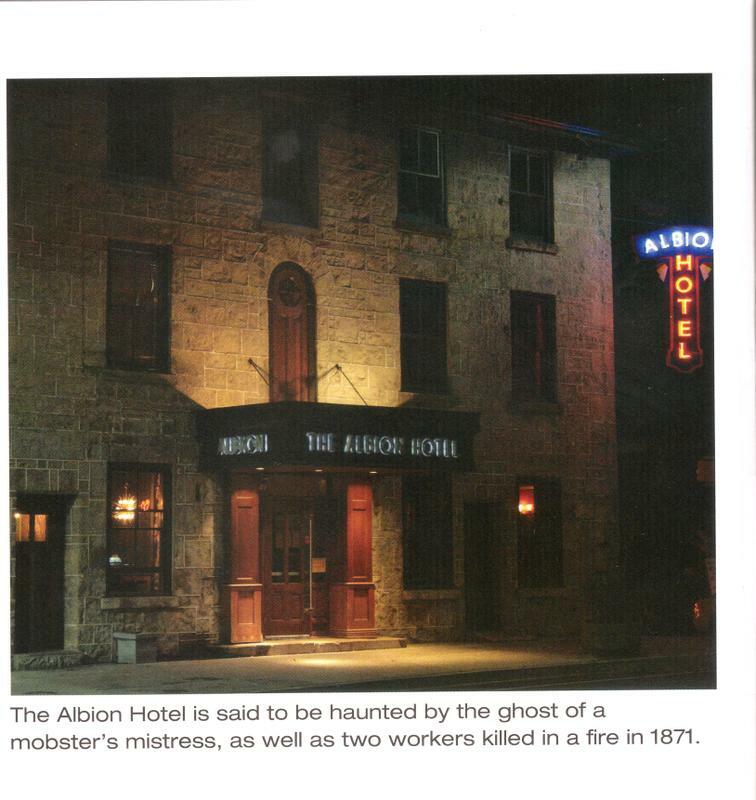 “The Major” was what they called the ghost whom was seen by people alone in the building. Choral singing was also heard. The New GLT has reports of footsteps that sound like children running in the aisle of the auditorium. 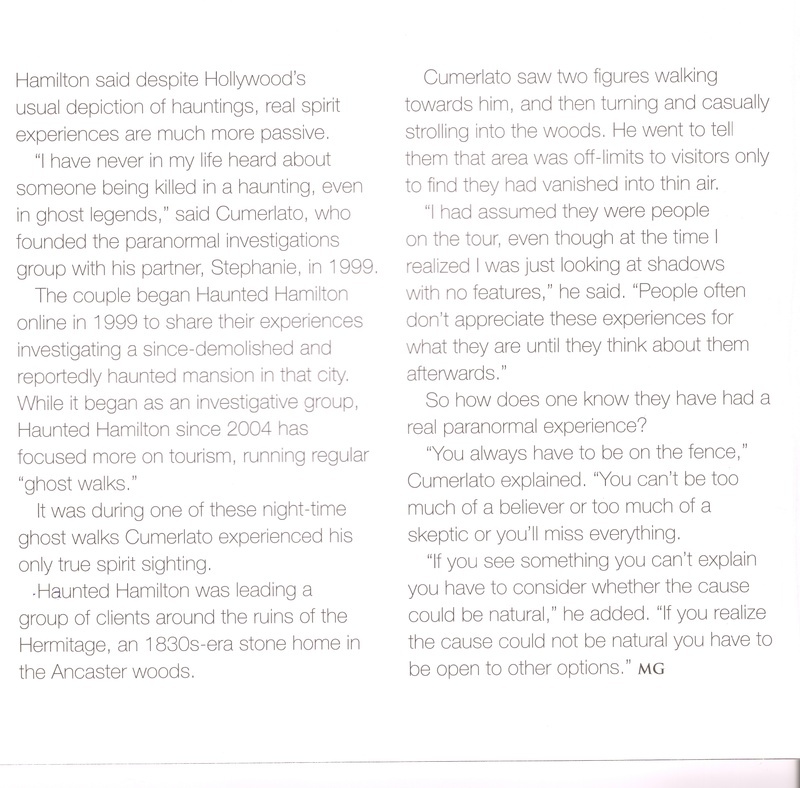 Also there is a report from someone that they have felt a presence of someone walking with them. The University of Guelph Library Basement Level Women’s washroom. A spirit of a woman hanging in a noose has been seen there. A university student working in the Library part time picking up books had an experience in 1998 about 8:15 in the morning, before the library was open for business. Picking up books in the Doc Centre on the basement floor near the woman’s wash-room , she went over and opened the door to the wash-room and saw a flash of a woman in a noose. She only saw her from the shoulders up. She looked gray and bluish and her mouth was opening and closing, like she was gasping for breath and looked straight at her. She went into the wash-room and the woman disappeared. She washed her hands and was very spooked. She hurried out and went upstairs. Wanda was part of the Inner Circle Investigations in Gettysburg, P.A. 2001 & 2002 at the International Ghosthunters Conference accompanied by Dave Oester of the International Ghost Hunting Society.